This entry was posted on April 3, 2009 at 1:59 am and is filed under Blogging, Events, Strategy, World 2.0. You can follow any responses to this entry through the RSS 2.0 feed. You can leave a response, or trackback from your own site. I think you put together a very successful event. People are talking about it, and looking forward to the next one. John, it was truly a pleasure meeting you at the camp. Thanks for attending, and for your excellent contributions as well! It was a real highlight! Keep up the outstanding work that you are doing. And PCWM number two will definitely happen this coming fall! Wonderful job organizing this event Morriss and so great to meet IRL at last! 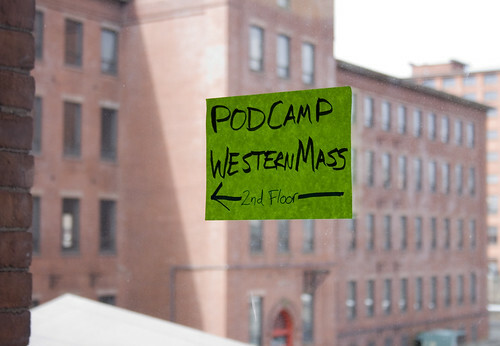 I went to PodCamp with no expectations. I really didn’t know what it would be like, and I walked away having made lots of valuable connections with people who would probably never be on my radar otherwise. My favorite part was the collaborative spirit. There were some true novices, and it was fun to see their eyes light up when they recognized the value of something that had been foreign to them before. 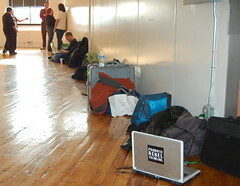 Most of us had experience in various aspects of social media. We all gained great tips and resources. It was a day full of really smart people who wanted to share and learn. Count me in for the next one! 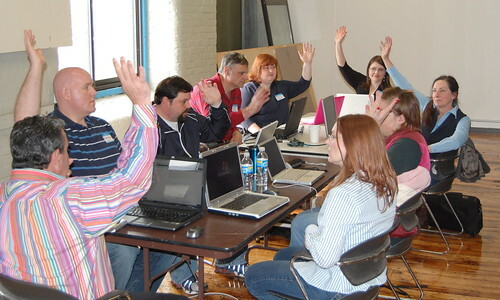 Wow, we’re up to 17 blog posts about the PodCamp which is slightly more than 1/3 of all attendees! For additional comments on this post, visit the Facebook Note.